Dufresne (Private LTD) is a leading independent private conference company specialising in creating high quality market driven conferences and training courses in the clean energy sector, specifically for energy storage professionals working in companies like Samsung, Tesla, Panasonic, Trina Solar and utilities worldwide such as E.On, Enel, Endesa, EDF etc. 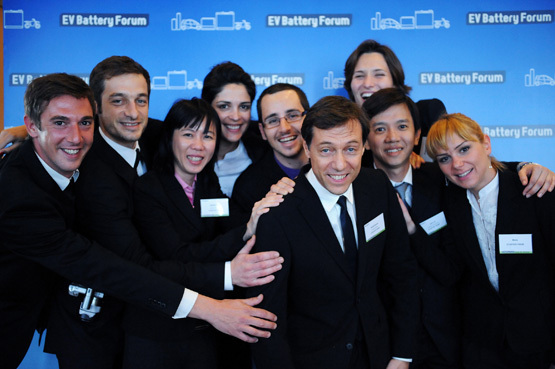 We are the pioneers for producing the annual “Energy Storage World Forum” in Europe and Asia with a proven track record of loyal customers worldwide thanks to our past 11 successful events (see videos below). Our focus is building a long term rapport with our customers, by offering more value through innovative topics and new networking formats. When working at Dufresne, you will be with passionate and entrepreneurial people who turn ideas into activities that will help the energy industry to make the world a better place through practical education, networking and fun. You will be playing a part in it and we will ensure you will also use work as a tool for self development at all levels. Travel to the event may also be offered depending on performance, our next conference is in a 5 star hotel in the heart of Rome (Italy). Possess a Diploma or University Degree in Marketing, Business, and/or Communications. 1-2 years experience in leads generation, strategic execution of digital marketing content and use of the latest marketing tools. Consistent in achieving marketing KPIs and deadlines especially for newsletter subscriptions and downloads. Excellent English verbal, and written communication skills. Excellent English grammar. Confident on the phone when liaising with senior speakers to agree to present a mutually beneficial topic for the audience (programme content will be provided by the Conference Producer). During a certain period of the project 80% of the time will be spent on the phone. Speakers do not pay to speak and have access to the conference for free. Strong negotiation skills: support marketing efforts by liaising with speakers, sponsors, industry associations and media partners to agree to joint marketing actions and mutually beneficial partnerships. Talent search: Proactively identify new individuals with key job titles and relevant experience from the industry. Admin and Project Managing: Communicating with the Hotel Venue, organising Audio Visual and Stage related matters (negotiation skills are an advantage). Ensuring that speakers prepare their powerpoints within the deadline and that exhibitors are aware of the logistics involved. List Research: drive the expansion and segmentation of our pool of speakers, potential conference attendees and sponsors. Passionate about making a difference and being involved in growing the company. Energy Storage is already changing the world. One day energy could be free just like voice calls became free with Skype. Energy Storage is simply the process of storing energy from renewables and there are many exciting and innovative ways for doing that. It is also disrupting the whole energy industry for the good of society. A search on google under energy storage news would give you 21 million results. We at Dufresne have been producing topics on this subject since 2009 (3 years before Elon Musk’s announcement !) 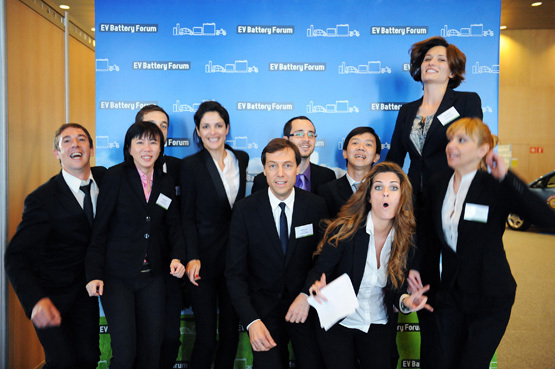 and we have achieved brand leadership in Europe thanks to our 11 successful past events. In fact we are the pioneers with a conference title on energy storage. We believe in the cause so much that we do not do anything else. You could be working on just 2 events per year and play a part in making the world a better place, unlike other conference companies where marketing executives would be required to manage multiple events at the same time and quickly pass from one to another with little involvement.